James Ronald ("Jim") Ryun (born April 29, 1947) is an American track and field athlete who won a silver medal in the 1968 Summer Olympics in the 1,500 metre run. He was also the first high school athlete to run a mile in under four minutes, which he did three times during his high school career. A Republican, he was a member of the United States House of Representatives from 1996–2007. Ryun represented Kansas's 2nd congressional district. I couldn't do anything else. When you're cut from the church baseball team, the junior high basketball team, and you can't make the junior high track and field team… I'd go to bed at night and I'd say, "Dear God, if you've got a plan for my life, I'd appreciate it if you'd show up sooner or later, because it's not really going very well." I found myself trying out for the cross-country team and running two miles even though I'd never run that distance before. All of a sudden, I made the team, I got a letter jacket, and I started thinking there's a girlfriend behind the letter jacket. But that's how it all began. In 1964, as a high school junior, Ryun became the first high school athlete to run a mile in under 4 minutes. His time was 3:59.00. His time of 3:55.3 in 1965 was a high school record that stood for 36 years. In 2001, it was broken by Alan Webb's time of 3:53.43. Ryun ran sub-four minute miles three times while in high school. Also during his high school career, he was voted the fourth best miler in the world by Track & Field News. ESPN.com named him the best high school athlete of all time, beating out people such as Tiger Woods and LeBron James. In 1966, at age nineteen, Ryun set world records in the mile and the half-mile. He received numerous awards, including Sports Illustrated magazine's "Sportsman of the Year" award, the James E. Sullivan Award as the nation's top amateur athlete, the ABC's Wide World of Sports Athlete of the Year award, and the Track & Field News' Athlete of the Year award as the world's best track & field athlete. In 1967, Ryun set a world record in the indoor half mile (1:48.3) and the outdoor mile from (3:51.1), a record that stood for almost eight years. That same year he set the world record for the 1,500 meters (3:33.1). In NCAA competition, Ryun was the 1967 NCAA outdoor mile champion. He was also the NCAA indoor mile champion in 1967, 1968, and 1969. Ryun still holds the American junior (19 and under) records at 880 yd (1:44.9), 800 m (1:44.3), 1,500 m (3:36.1), and two miles (8:25.1). In all, he broke the American record for the mile four times: once as a high school senior (3:55.3 on 27 June 1965), twice as a college freshman (3:53.7 on 4 June 1966 & 3:51.3 on 17 July 1966), and once as a college sophomore (3:51.1 on 23 June 1967). Ryun participated in the 1964, 1968, and 1972 Summer Olympics. At age 17 years, 137 days in 1964, he remains the youngest American male track athlete to ever qualify for the Olympics. In 1968, he won the silver medal in the 1,500 meters in Mexico City, losing to Kip Keino from Kenya, whose remarkable race remained the Olympic 1,500-meter record for 16 years. Before the race, Ryun had thought that a time of 3:39 would be good enough to win in the high altitude of Mexico City. He ended up running faster than that with a 3:37.8, but Keino's 3:34.9 was too tough to beat at that altitude. Years later, in 1981, he told Tex Maule in an interview for The Runner magazine, "We had thought that 3:39 would win and I ran under that. I considered it like winning a gold medal; I had done my very best and I still believe I would have won at sea level." Ryun was attacked by some writers who believed he had let his nation down. "Some even said I had let down the whole world. I didn't get any credit for running my best and no one seemed to realize that Keino had performed brilliantly." In the 1972 Munich, Germany, Games, he was tripped and fell down during a 1,500-meter qualifying heat. Although the International Olympic Committee (IOC) acknowledged that a foul had occurred, U.S. appeals to have Ryun reinstated in the competition were denied by the IOC. Ryun's 1,500-meter world record, run in the Los Angeles Memorial Coliseum during the United States vs. British Commonwealth meet in July 1967, was one of Ryun's greatest running performances. Track and Field News reported that "after 220 yards of dawdling, a record seemed out of the question." However, after 440 yards, which Ryun, in third, passed in 60.9 seconds, Kip Keino took the lead and ran the next lap in 56 seconds (the fastest second lap ever run at the time). Ryun, just behind, passed the 880-yard mark in 1:57.0. At 1,320 yards the two were side by side in 2:55.0. Ryun pulled away to finish in 3:33.1, a record that stood for seven years. With a last 440 yards of 53.9 and a last 880 yards of 1:51.3, Cordner Nelson of Track and Field News called it "the mightiest finishing drive ever seen," and said of Ryun's performance, "This was most certainly his greatest race." Ryun's final season as an amateur was in 1972, and included the third-best mile of his career (at the time, the third fastest in history: a 3:52.8 at Toronto, Canada on July 29): a 5,000-meter career best (13:38.2 at Bakersfield, CA on May 20), and a win in the 1,500 meters at the U.S. Olympic Trials. He left amateur athletics after 1972 and for the next two years ran professionally on the International Track Association circuit. Because 880 yards is longer than 800 meters, the 1:44.9 was converted into an en-route-time at 800 meters of 1:44.3, which equaled the existing world record, and remained the world and American record until broken by Rick Wohlhuter's 1.44.6 in 1973. The 3:33.1 1,500 meters mark remained the world record for six years until broken by Tanzania's Filbert Bayi's 3:32.2 in 1974. The 3:51.1 mile mark remained the world record for eight years until broken by Bayi's 3:51.0 in 1975. Track & Field News Athlete of the Year award for both 1966 & 1967, the first athlete to win this prestigious award two years in a row. The 1966 Sports Illustrated Sportsman of the Year award. The 1966 James E. Sullivan Award, presented to the best amateur athlete in the U.S. In 1980 Ryun was inducted into the National Track and Field Hall of Fame and in 2003 he was inducted into the National Distance Running Hall of Fame. Ryun was born in Wichita, Kansas. He now lives in Lawrence, though he was listed in the House roll as "R-Topeka." He also owns a farm in Jefferson County. Ryun met his wife, Anne, when she asked him for an autograph after he broke the world record for the mile in Berkeley. They married in 1969 and have four children and seven grandchildren. He and his sons, Ned Ryun and Drew, have co-authored three books: Heroes Among Us, The Courage to Run, and In Quest of Gold- The Jim Ryun Story. After graduating from the University of Kansas in 1970 with a degree in photojournalism, Ryun moved to Eugene, Oregon; looking for a good training situation to continue his track career. Six months later, he moved to Santa Barbara, California, where he and his family remained for nine years. He and his family moved back to Lawrence in 1981. Raised in the Church of Christ, Ryun and his wife are members of Grace Evangelical Presbyterian Church in Lawrence. 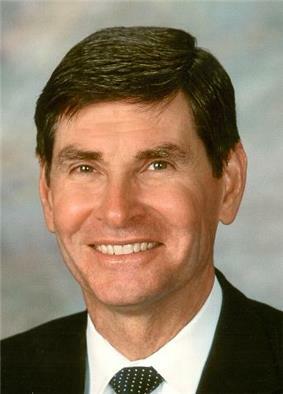 Before being elected to the House of Representatives in 1996, Ryun had operated Jim Ryun Sports, a company that ran sports camps, and worked as a motivational speaker at meetings of corporations and Christian groups around the country. Among his projects, Ryun, who has a 50% hearing loss, helped the ReSound Hearing Aid Company develop a program called Sounds of Success, aimed at helping children with hearing loss. Since 1973, Ryun and his family have hosted running camps every summer for promising high school aged runners. According to Ryun, he was interested in politics but did not have plans to run for Congress until Todd Tiahrt told him during the 1996 Summer Olympics torch relay that the Topeka-based 2nd District would have a vacancy and suggested that he run. Ryun was first elected in 1996 to fill a seat vacated by Republican Sam Brownback. He won the three-person Republican primary with 62 percent of the vote, defeating former Topeka mayor Doug Wright and Cheryl Brown Henderson, the daughter of the plaintiff in the historic Brown v. Board of Education of Topeka desegregation case. In the general campaign, Ryun was in a tight race with Democrat John Frieden, a prominent Topeka trial attorney, who outspent Ryun $750,000 to $400,000. Ryun won that contest with 52 percent of the vote. He would not face another contest nearly that close for almost a decade; he was reelected three times with at least 60 percent of the vote. In 2004, Democrat George W. Bush atop the ticket. In the 2006 election, Boyda was again the Democratic nominee, with Roger Tucker of the Reform Party of the United States of America also on the ballot. Initially expected to win, Ryun found his campaign faltering as internal polling for both his campaign and Boyda's revealed Boyda was ahead. In response, Ryun's campaign recruited both President Bush and Vice President Cheney to visit Topeka to campaign and raise campaign funds for Ryun. Ryun was defeated in an upset by Boyda, 51% to 47%. In March 2007, Ryun confirmed that he would run for his old seat. In the Republican primary, he faced Kansas State Treasurer Lynn Jenkins, a slightly more moderate Republican who served two terms as State Treasurer, a partial term in the Kansas Senate and two years in the Kansas House. Ryun lost to Jenkins, who went on to win the seat in the general election, 51% to 46%. Ryun served on the Armed Services, Budget and Financial Services committees. He tallied a mostly conservative voting record. ^ a b c d e All-Athletics. "Profile of Jim Ryun". ^ a b Plumlee, Rick (June 4, 2014). "Jim Ryun reflects upon 50th anniversary of breaking four-minute mile". The Wichita Eagle. Retrieved 29 June 2015. ^ a b Fraioli, Mario (2010-11-29). "The Best Ever: Exclusive Interview With Jim Ryun". Competitor.com. Retrieved 17 March 2014. ^ Gambaccini, Peter (2006-10-27). "Chat: Jim Ryun and Marty Liquori". Runner's World. Retrieved 17 March 2014. ^ Toppo, Greg (2004-05-16). "Cheryl Brown Henderson". ^ "Ryun Plans to Run for Congress"
^ "KS District 02 - 2008". Our Campaigns. Retrieved 19 October 2015. ^ Silva, Mark (August 24, 2006). "Bush slipping in the Senate, holding the House". ^ Deed for sale of U.S. Family Network's townhouse. After Rep. Mark Foley resigned in October 2006, following revelations he had sent sexually explicit e-mails to teenage congressional pages, Ryun contended that he barely knew Foley, had never spent time with him, and was unaware that they lived directly across the street from each other in Washington, D.C. "I know that [we were neighbors] only because somebody has mentioned that, too, already," he told reporters at the time. However, it was later revealed that Ryun and Foley had hosted a joint fundraiser on their street on May 18, 2006, called the "D Street Block Party." An invitation to the fundraiser included side-by-side pictures of Ryun and Foley. Ryun's campaign manager later said that Ryun had always known he was Foley's neighbor. After questions were raised as to the purchase of Ryun's townhome, his office released official documents showing that Ryun paid $80,000 more than the tax assessed value of the house, that he put another $50,000 into house repairs and that another home on the same block was sold for $409,000 on the same day he bought his home. According to property records, the other home does not have a garage or a back patio and is on a land area about half the size of Ryun's. It was assessed in 2006 as worth $528,000, compared to $764,000 for Ryun's home. In contrast, homes across the street from Ryun's were sold for over $900,000. On December 15, 2000, Ryun bought a townhouse in the District of Columbia from U.S. Family Network for $410,000, The townhouse had been purchased about two years earlier, for $429,000, to house Buckham's consulting firm Alexander Strategy Group and DeLay's ARMPAC. In 2006, Ryun improved his REP scorecard when he voted pro-environment on 2 of 7 critical issues. This earned him a 17 percent. He voted to help reduce the impact the Army Corps of Engineers had on the environment. The issues in which he voted against the REP were ones involving oil drilling in the Arctic National Wildlife Refuge, renewable resource programs, and the movement to end debate and accept the Gulf of Mexico Energy Security Act. Ryun also scored a 0 on League of Conservation Voters's ("LCV") scorecard. Many of REP's critical issues were present on the scorecard. In 2006, the National Journal rated Ryun as the nation's most conservative member of Congress. He was a member of the Republican Study Committee, a caucus of 103 fiscally and socially conservative House Republicans. Ryun broke with the President over two major initiatives, No Child Left Behind and Medicare reform legislation that included a prescription drug benefit. In voting against No Child Left Behind, Ryun said he believed states should have more control over their own education system. In opposing the Medicare bill, Ryun said the bill didn't provide enough reform to keep future costs from soaring.